Bridesmaids were traditionally used to ward off evil spirits by being dressed similarly to the bride in the hope that the evil spirits would become confused and the bride would be left unaffected. The tradition of the bridesmaid being dressed similarly to the bride is seldom followed in modern weddings, although many brides do choose dresses for the maids that have the same neckline or are made out of a similar material. Almonds are the traditional favour as they symbolise fertility, longevity, wealth, health and happiness. That’s why pretty much everyone has been to a wedding where the favour has been sugared almonds! It is customary for the Bride to stand to the Grooms left during the wedding ceremony. This custom dates back to the Anglo-Saxon times when the Groom would hold his Brides right hand with his left so that he could hold his sword in this right hand in case anyone tried to steal the Bride from him. When it comes to the speeches the first one should be given by the brides father, followed by the groom with the best man last. Slowly more couples are choosing to break this tradition by having the bride say a small speech after the best man speech. The top table should be ordered from the left as follows: Chief Bridesmaid, Grooms Dad, Brides Mum, Groom, Bride, Brides Dad, Grooms Mum, Best Man. This top table arrangement is to symbolise the joining together of two families. This custom has all but fallen by the wayside due to complex family issues, meaning many couples opt a non traditional seating plan. 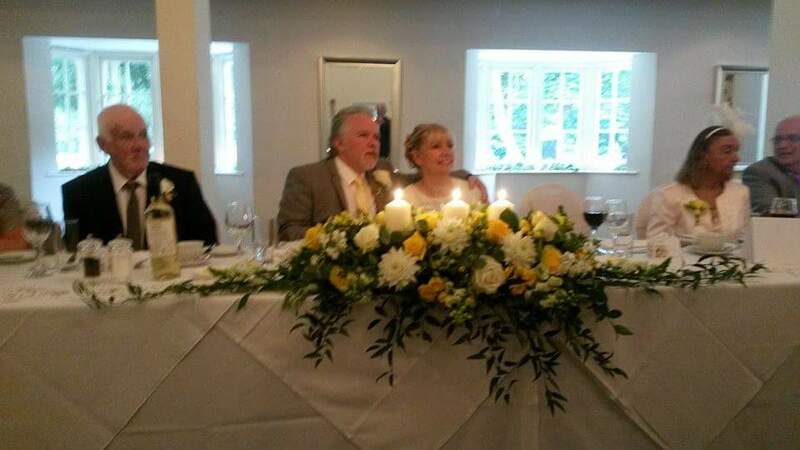 If you don’t want to stick to this tradition why not have a sweetheart top table for just the two of you with parents ‘hosting’ tables, or have the top table with just the couple, bridesmaids, best man and ushers. Something old, something new, Something borrowed, something blue And a silver sixpence in your shoe is the traditional list of what a Bride needs to be kitted out with for her wedding day. Although the Silver sixpence in the shoe is rarely still practised, old, new, borrowed and blue often still is. In the past Saturday was not the favoured day to get married as although is isn’t an unlucky day it isn’t a lucky one either. In days of old most couples got married on one of the first three days of the week. May has been considered an unlucky month to marry in for a number of reasons. In Pagan times the start of summer was when the festival of Beltane was celebrated with outdoor orgies. This was therefore thought to be an unsuitable time to start married life. In Roman times the Feast of the Dead and the festival of the goddess of chastity both occurred in May. The advice was taken more seriously in Victorian times than it is today. In most Churches the end of April was a busy time for weddings as couples wanted to avoid being married in May. Queen Victoria is thought to have forbidden her children from marrying in May. Rings worn on the third finger of the left hand. This tradition dates back to the Greeks who believed that a vein in this finger lead directly to the heart. Technically all veins lead to the heart, buy we’ll let the Greeks off as their belief dates back long before a proper understanding of the circulatory system was gained. White wasn’t always worn by the bride. White was first worn by rich brides in the sixteenth century and the tradition was given a boost by Queen Victoria who chose to wear white when she got married to Prince Albert in 1840 instead of silver which royal brides usually wore. Before wearing white became the norm after Queen Victoria brides just wore their best dress, which could have been any colour. A bride wearing green was uncommon unless she was Irish as it was seen as a sign of promiscuity (think rolling in the grass casing green stains). Veils have a few different customary backgrounds. According to records veils were first worn by Roman Brides. Wearing a veil became popular in Britain in the 18 hundreds and is associated to modesty and chastity. In some Eastern countries the bride is left veiled until after the ceremony is complete. Carrying the bride over the threshold is a popular wedding custom. Where this custom came from is unclear as different sources provide different reasons for why this custom came about. One belief is that because the bride was supposed to be a virgin before her wedding night, the groom carried her over the threshold to save her from the embarrassment and scandal of looking too keen to loose her virginity. In ancient culture people believe that bride was especially likely to be taken by evil spirits that would lurk in doorways and enter the bride through the soles of her feet, therefore the groom carrying her over the threshold protected her from the evil spirits. 10 days ago I published a post about how I choose a wedding guest outfit as I had bought a dress to wear to a wedding I attended on Saturday. 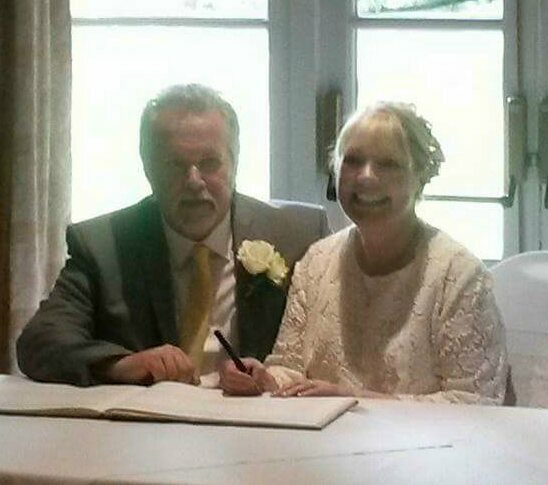 Below I have reviewed each element of the wedding and given the lessons I have learnt. The ceremony was at 3:30PM. The Bride who was wearing a cream mid length straight cut lace dress looked a picture of pure happiness walking down the isle with her father. The vows were short and sweet with two heartfelt readings given, one by a daughter of the bride and the other by the grooms daughter. Decorating a narrow shelf that went the whole way round the room at about chest height was a synthetic vine and candles with the only other decoration being chair covers finished with gold bows. The pictures after the ceremony were taken outside by one of the Brides daughters. Between the ceremony ending and the wedding breakfast beginning was about 1 hour. The couple decided not to do a receiving line, instead opting to enter the room together once all guests were seated. The stationary theme was birds and bird cages with simply elegant laser cut style bird cage place cards and favour boxes housing three foiled wrapped chocolates. Generally the food served at weddings isn’t the best, however all three courses were incredibly enjoyable. I am also glad to report that the happy couple arranged the seating plan so that guests were sat with people they already knew. Lets just say I am not an advocate for seating guests from the brides side on the same table as guests from the grooms side if they do not know each other. Although when two people get married it is two families becoming one, in the modern world the reality of the two families ever spending any time together after the wedding is slim; so why sit them together under the pretense of it being important for them to get to know each other. The decorations for the wedding breakfast seemed to be usual package wedding decorations with a classic floral display atop a mirror plate and scattered table sparkles. disappointment arrived in the form of the speeches. The father of the bride (TFOTB) gave a succinct speech hitting all the key points; memory of the bride, sentiment about the groom and welcoming the grooms parents to the family ending in a toast. Despite the good start to the speeches made by TFOTB the Grooms speech bored everyone to tears by bring ridiculously long. He hardly mentioned his wife, opting to talk mostly about his sister, which was sweet but odd. After the longest speech in the history of wedding speeches it was the turn of the best man. Unfortunately the Best man did not give a good speech either. In total contract to the groom who loved the sound of his own voice the best man shook like a baby in snow, spoke as quietly as a door mouse and did not include even one joke or story about the groom. NOT EVEN ONE! The reception was held in the same room as the wedding breakfast, so after a quick turn around where everyone mingled outside or by the bar we re-entered the room for the reception. 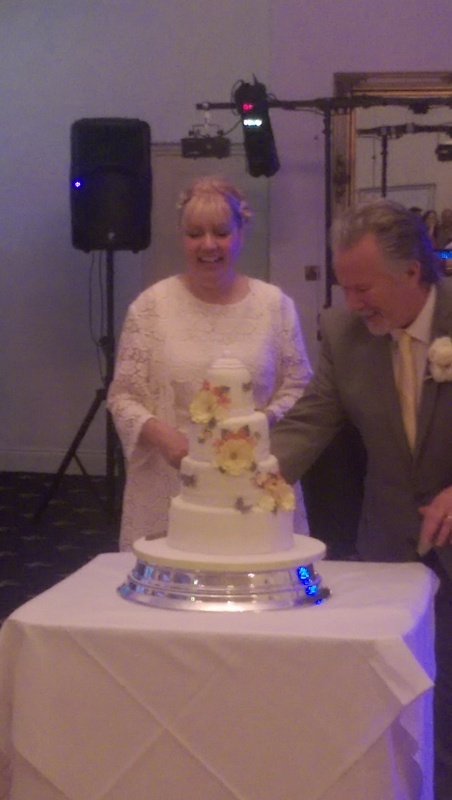 The newly weds cut the cake and had their first dance. I left with the people I arrived with at about 23:00. A buffet was served during the reception and even though the buffet was smaller than average more than half was left untouched. If you are planning on a budget you will come across times when you have to make a decisions on what is more important to include such as whether or not to include favours or whether or not to get that entertainer. Therefore I have included below things that people really wont notice if you decide to cut them from your day. Decorations in the ceremony room – choose one or two decorations only, such as flowers on the register table and bows on the back on the chairs. The ceremony room doesn’t need loads of decorations as people will be concentrating on you and the commitment you are making to each other. If yours and your partners families don’t get together much you can forego any entertainment as your guests will be more than occupied catching up with each other. The wedding mentioned above was a family wedding where there was no entertainment provided and to be honest it wasn’t needed because we were all enjoying chatting to each other because we rarely all get together. You may decide not to do thank you gifts for a range of reasons; possibly because you have planned the day without any financial support from anyone else, or because you have decided not to have bridesmaids and groomsmen or because you simply can’t find the room in your budget. Thank you gifts have become customary for the couple to give to parents and the bridal party plus other people who have been especially helpful. Usually the thank you gifts are flowers, a bottle of alcohol or a personalised gift. If you still want to thank people but don’t have the budget for gifts then you can thank them in the grooms speech and out cards and a heart felt personal thank you written inside, or just thank them verbally without handing out gifts. It is a relatively new customer so people wont mind if the gifts are absent. Forgoing the expensive evening buffet is a very good idea for the couple on a budget. So much of an evening buffet goes to waste, but people do still like to have a nibble to help absorb some of the merry drinking. Consider serving just your cake and some bacon rolls/small cones of fish and chips as this will give your guests the much needed nibble in the evening while reducing the cost of the evening catering by about half! One of the most important things I have learnt from the wedding on Saturday is when looking at venues consider how the reception room will impact on your day. If the reception room does not have a bar within the room this will mean that about half of your guests will be where the bar is, which will mean the reception could feel empty. The reception room at Newbury Manor Hotel did not have a bar which did mean half the guests were in the room the bar was in. If you feel this would negatively impact on the feel of your reception try to find a venue where there is a bar within the reception room. You don’t choose a best man based on their ability to give a speech, you choose them because they are important to you. But if your best man is incredibly shy or extremely under confident with public speaking bear in mind the possibility of having two best men, each given separate duties; one could be in charge of the rings while the other is given the responsibility of giving the best man speech. I’ve always said for me the ceremony is the wedding; everything else is just fluff. If I couldn’t afford the full day wedding celebration I would be perfectly happy to have “just” the ceremony. The ceremony is when the couple commit their lives to each other in front of their nearest and dearest. When I have the pleasure and honour of attending someones wedding my favourite part of the day is the ceremony. There is a real magic to a wedding ceremony: the brides walk down the isle, the grooms reaction to seeing his love in her bridal finery, the vows, the signing of the register – it’s the culmination of all those months planning. If the ceremony is personalised with personal vows, tailored readings or an addition to the norm such as a sand/rose or tree planting ceremony, I will cry – without fail. Whenever I think about my wedding day my mind drifts to how my H2B will react to seeing me walk down the isle. I would be disappointed if he doesn’t turn to look at me as I walk down the isle. Assuming he will I hope to see a big reaction from him; whether that be his eyes growing and him mouthing “WOW!”, or a few tears falling from his eyes as he smiles a big smile at me or him gasping in shock, I crave to receive that emotionally charged positive reaction from him. A part of me (maybe the part that wants to protect myself from total disappointment) is skeptical about the reactions from grooms seeing their bride for the first time that can be found on all corners of the internet. Some of the reactions are so strong, I wonder if the reaction is not entirely natural. Are they performing for the video cameras, providing their wife with the reaction she has told them she would like, or is this genuine love/surprise/awe they are experiencing? Or are the men that show the reactions used to create the viral videos more emotional men day to day anyway? My H2B is of the typical cave man variety. He doesn’t express or talk about his emotions unless he is beside himself drunk, and I’ve only ever seen him cry when he is beside himself drunk and telling me about horrible events in his life. I can’t see my H2B giving me much of a reaction when I walk down the isle, but I still hope he does.